Matt Neely is “Yoga Matt,” bringing Strala Yoga to the Berkshires of Western Massachusetts. 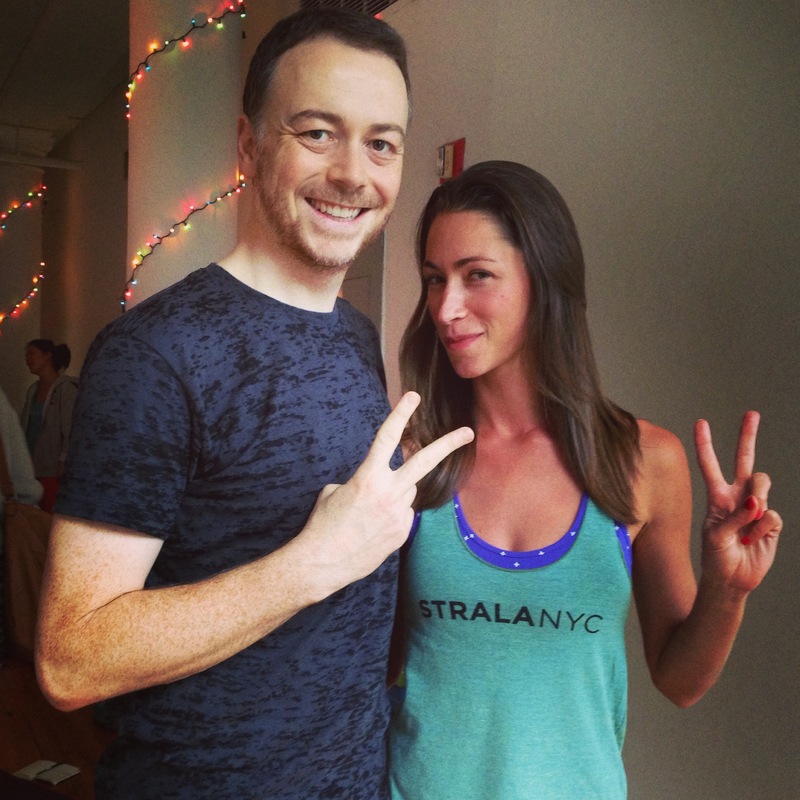 Matt Neely is a certified guide and graduate of Strala Yoga’s 200+ Hour training program, having learned the inspiring movement system directly from Strala creator and founder Tara Stiles and her incredible team at their studio in New York City. Hooked from his initial introduction to yoga as a college student, Matt has been practicing yoga for over twenty years. While pursuing an MFA in Acting at Carnegie Mellon and the Moscow Art Theater, he deepened his exploration of yoga and similar movement modalities, working with Andrei Droznin, Russia’s top movement teacher. Throughout his life, Matt has explored a wide variety of fitness systems, but always returned to yoga for its holistic approach to connecting the body and mind. 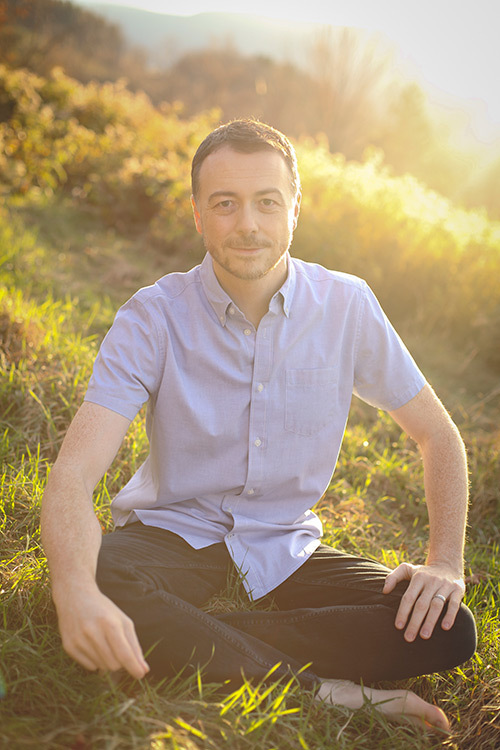 More recently, looking to make a lasting lifestyle change, Matt discovered Tara Stiles and Strala; it was exactly the kind of easygoing, unpretentious, fun yoga style he’d been looking for. Diving head first into a seven day a week practice, Matt completely changed his physique, improved his overall health, and became more centered and happy than he had been in ages. He soon realized that he wanted not only to practice Strala yoga but guide others in it as well. Strala has done wonders for Matt, and he’s excited to bring it to the Berkshires! Strala is the movement system that ignites freedom. Founded by Tara Stiles in 2008, Strala classes focus on moving softly through simple and challenging moments alike, guiding the attention inward, encouraging fun and playful exploration, and creating space for connection to the self. The movements are fueled by the breath, allowing each inhale to lift, expand and open, and every exhale to move further into the experience. An oceanic quality of calm power guides the experience. The result is a great feeling of expansion, freedom, strength, and radiance from the inside out. Strala is known for its laid-back, energetic and open vibe, and positive community. Looking to de-stress, decompress, and come back to center? Strala RELAX is a chill yoga flow that releases tension in the body and mind. If you want something especially easygoing that still gets you warm and moving, the RELAX classes are a great choice. Want to practice doing hard things the easy way and build strength, flexibility, and balance, while keeping a calm & focused mind? Come to Strala STRONG – an intense, fun flow, set to rockin’ music, sure to leave you in a centered, invigorated state. Craving an all-natural energy boost? Strala ENERGIZE is a moving flow that refreshes the body and mind while resting attention calmly on the breath, leaving you feeling awake and energized. This class is the perfect blend of the RELAX and STRONG classes. STRONG, RELAX, and ENERGIZE classes are 1 HOUR, and all levels of experience and fitness are welcome! Classes are $15 and can be paid for with cash, check, or credit card. Scheduled classes take place at Berkshire Fitness Company in Williamstown, MA. Interested in private instruction? Please feel free to contact us! Interested in booking private classes, special events, or a corporate function with Yoga Matt and need more info? Please feel free to contact us with questions and inquiries. We’re here for you! Sign up for the Yoga Matt mailing list to stay in the loop about upcoming classes, special events, and cool new additions to the website. Thank you for visiting Yoga Matt. Check back frequently and follow us on social media for the latest updates, news, and info. We look forward to seeing you in class!